Nardwuar The Human Serviette News: Oct 2: The Evaporators Open for The Sonics in VanCity ! 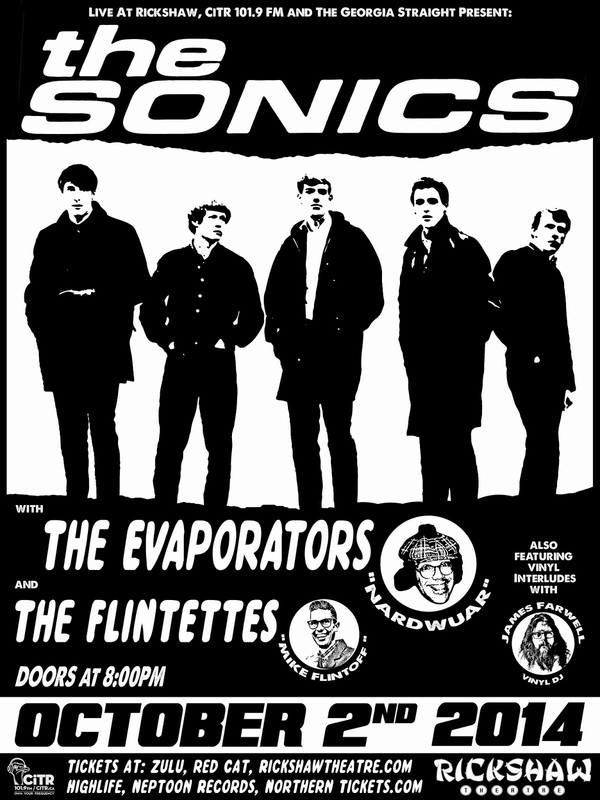 Oct 2: The Evaporators Open for The Sonics in VanCity ! On Thursday Oct 2 The Evaporators are opening for THE SONICS at the Rickshaw (254 East Hastings) in Vancouver, BC ! The Flintettes are also on the bill too! Its 19+, doors 8pm. More info and Tickets available HERE! Doot doo !